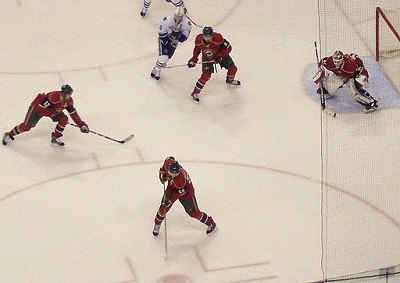 Get notified when Minnesota Wild tickets are available! The Minnesota Wild is a professional hockey team that plays in St. Paul, Minnesota. The team was founded in 1997, but did not play its first season until 2000, winning their first division championships seven years later. Want to be a part of the fun and excitement of a Minnesota Wild game? You can use the links above to buy your Minnesota Wild tickets for an upcoming match up. The Minnesota Wild play at Xcel Energy Center, which is also called The Hive and The X. The arena opened in 2000 and has room for around 18,000 fans for home games.